Over on io9.com, I spotted a Pizza Necronomicon which, frankly, would make me lose my appetite . . . even for pizza. On a side note, scientists believe they have discovered a perfectly healthy way to make pizza, though that sort of misses the point if you ask me. 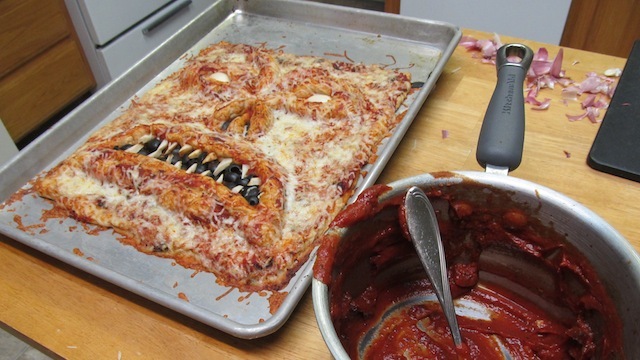 Read more about the scarier pizza here!